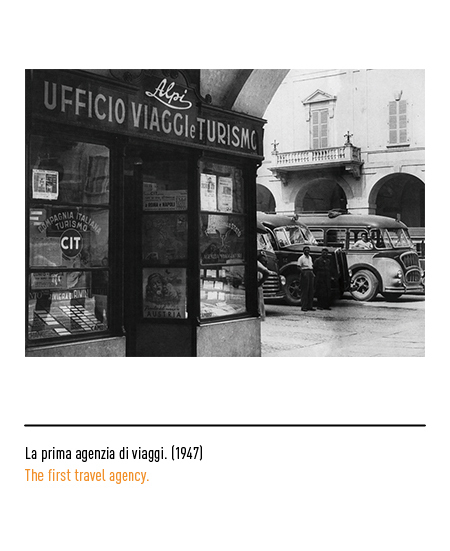 The firm was established in Cuneo in 1947 as a travel and tourist agency under the name "Alpi". 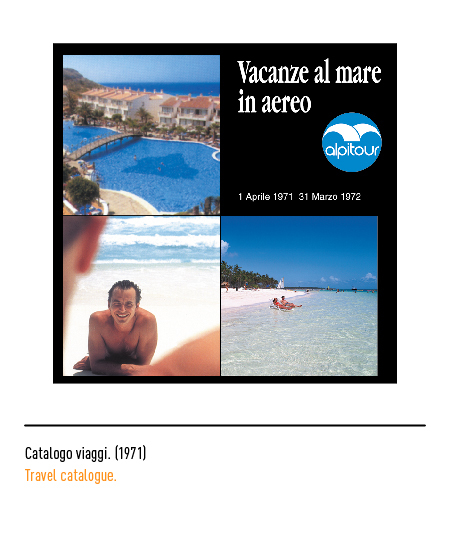 It was the first tour operator in Italy to offer package tours to European capital cities and later special charter flights to major Mediterranean holiday resorts. 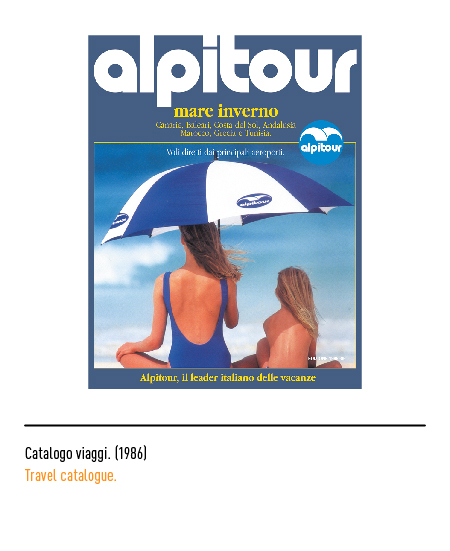 The most important events of the period such as the Jubilee year in Rome and the Carnival of Nice were attended by throngs of Italians also thanks to the train and coach tours organised by "Alpi". 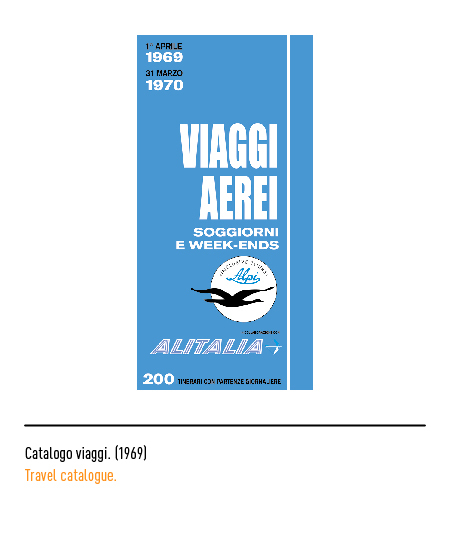 In 1951 it became the official agent of the airline company LAI (Linee Aeree Italiane). 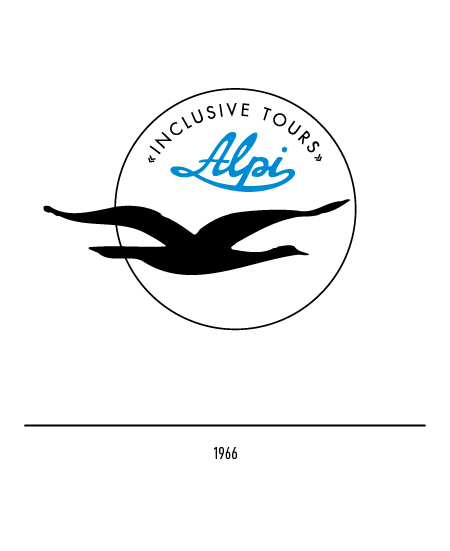 Its first trade-mark in 1947 consisted simply of the name "Alpi" in calligraphic lettering In 1966 this device was set within a circle and portrayed together with the figure of a seagull and the wording "inclusive tours", that is "package tours". 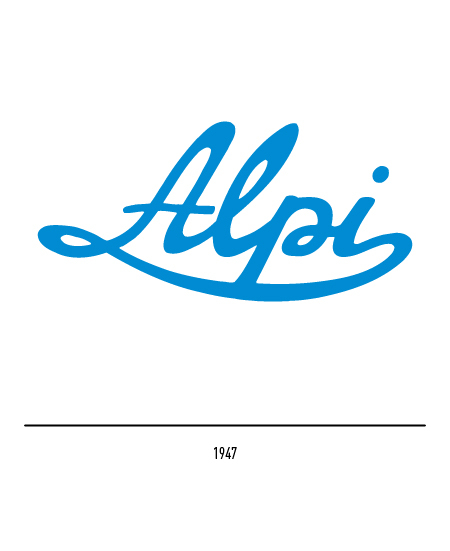 The symbol thus constructed provided a metaphorical rendition of the concept of freedom in the figure of the bird in association with the services offered by the firm to its customers. The name was changed to "Alpitour" in 1967 but restyling of the trade-ark as such had to wait until 1970 when it was commissioned to Sergio Dabovich. 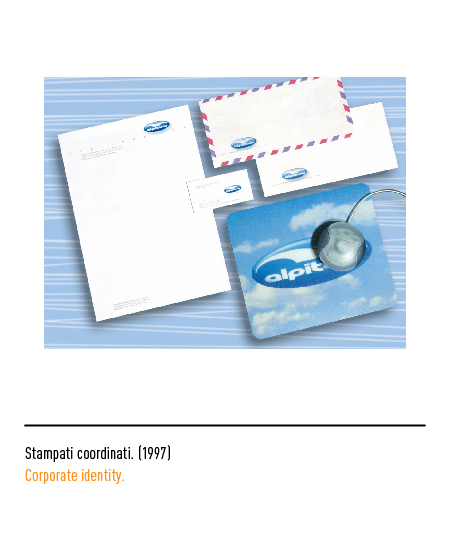 The new device portrayed a stylised seagull within a light-blue circle with lower case lettering. 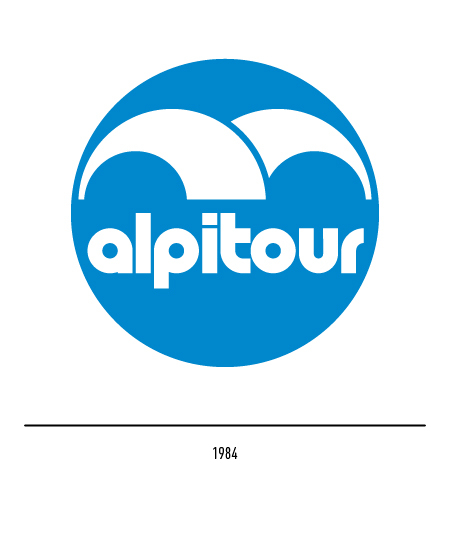 A small change was wrought by the same designer in 1984, especially in the lettering. 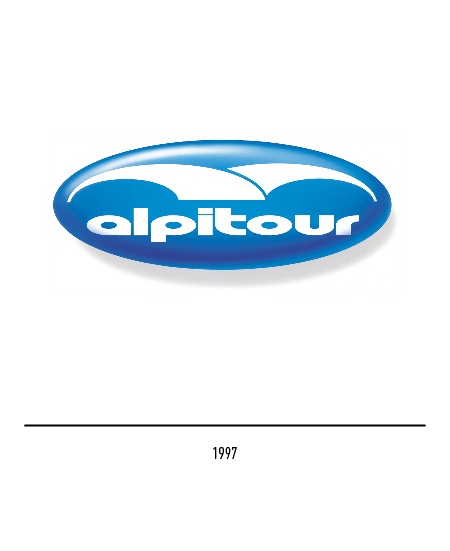 To celebrate its fiftieth anniversary in 1997, Federico Dabovich was enlisted to make changes to the trade-mark, which in fact now appears oval in shape with a chiaroscuro effect that make it resemble a name-plate. 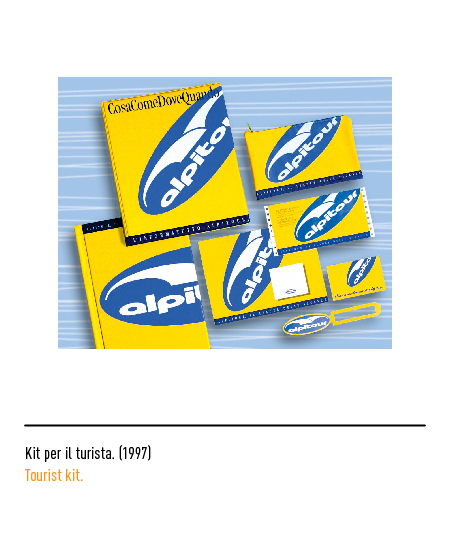 Relazioni e bilancio Alpitour, 1996.